Wherever you decide to go, whether it’s for business or leisure travel to Abaco, Andros, Harbour Island, Eleuthera, Exuma, Grand Bahama, or Long Island, we can take you there in comfort and in style. 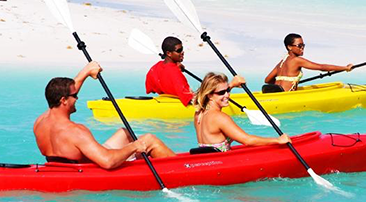 Equipped with spacious and modern vessels, we offer the most relaxing and affordable way to travel within The Bahamas. While journeying in the fully air-conditioned cabin, the crew will make you feel so at home, that after we arrive at your destination, you may not want to leave. Our stunning islands may be the only thing that can lure you off the vessel. 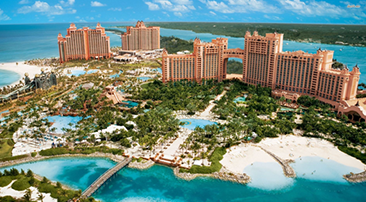 Start your Bahamian adventure today. Which island is tempting you? 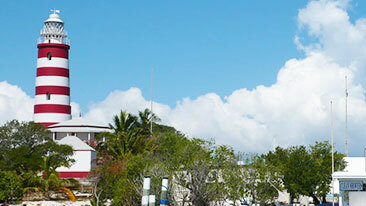 Since colonial times, Abaco has been considered the boating capital of The Bahamas. Even today, Abaco is still known for its traditional boat-building techniques and rich, historical architecture, originally constructed by loyalists in the 1700s-1800s. The Elbow Reef Lighthouse, located in Hope Town, is a stunning example of 1800s infrastructure still present in Abaco today. The 7-mile-long beach along the coast of Guana Cay is one of the most magnificent in the world, and the turquoise waters are enough to entice any visitors. Thought to be the largest island in the Bahamian archipelago, Andros is actually an archipelago of its own. Consisting of hundreds of small cays and three major islands, Andros is a wonderland of mangrove swamps, more blue holes per square mile than anywhere on Earth, and the third largest barrier reef in the world. 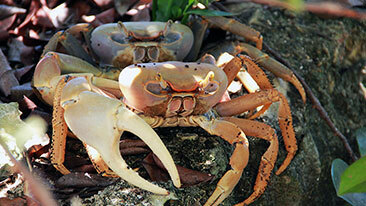 It also has the largest national park system in the Bahamas, and is home to many Bahamian myths and legends. Once being the headquarters of the sponging industry in The Bahamas, Andros is now a quiet haven of abundant coral, unique animal and plant species, and charming, secluded beaches. Eleuthera, a name that derives from the Greek word ‘eleutheros’, meaning ‘free’, is an island abundant with history and natural resources and is said to grow some of the sweetest pineapples in the world. Eleuthera is even better known for its Glass Window Bridge, a thin strip of land that divides the calm, clear Caribbean Sea from the rough, dark Atlantic Ocean. The large waves of the Atlantic allow Eleuthera to be one of the only islands in The Bahamas where surfing is possible, making it an especially appealing destination for international surfing enthusiasts and those looking for an adventurous getaway. Though only 2 miles long and a half-mile wide, Spanish Wells is a quaint island with rich history and hidden beauty. The aquamarine water surrounding the island is teeming with life, including an abundant crawfish population that supplies the biggest industry for the small town and a major attraction for fishermen and tourists alike. Affectionately called ‘Briland’ by locals, one of the most recognizable features of Harbour Island is the powdery pink sand, stretching for over three and a half miles on the coast of this peaceful paradise. A highly attractive spot for celebrities, Harbour Island has exceptional restaurants, luxurious hotels, and perfect weather, year round. The Exumas are the most widely recognized islands in The Bahamas, as one such cay, aptly dubbed ‘Pig Beach’, is home to a number of hogs who dwell on the beach and swim in the water, seeking food from any boats that approach the island. Also notable in the Exumas are the stromatolites found in surrounding water, as these are the oldest known macrofossils on earth. 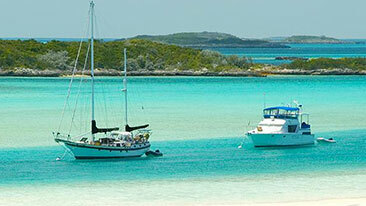 Many celebrities also frequent the Exumas, some even building homes to enjoy the serenity and seclusion of paradise. As the northernmost island in the country, Grand Bahama lies just 90 kilometers off the coast of Florida, and is the fourth largest island in the Bahamas (which has about 700 islands and 2,400 cays). It’s home to 18 of the 28 bird species native to The Bahamas, as well as one of the largest underwater cave systems in the world. 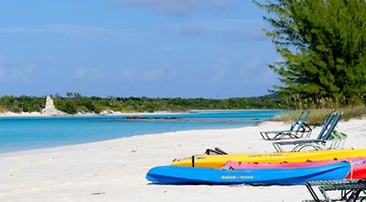 Just one mile off the shore of Grand Bahama is Peterson Cay, one of the largest national parks in The Bahamas. With kayak tours, swimming with dolphins, and miles and miles of beaches to explore, Grand Bahama is one of the top destinations in The Bahamas. 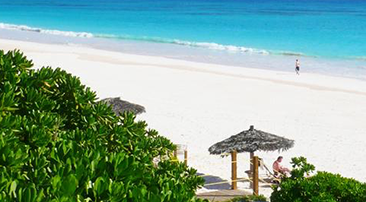 Long Island is perhaps the best kept secret in The Bahamas. Just off the coast, surrounded by natural rock formations and crystal clear water is Dean’s Blue Hole, the deepest known blue hole in the world. On land, Long Island is also home to Hamilton’s Cave, one of the largest caves in The Bahamas, as well as Twin Churches, two churches that were built in the 1800s. With cliffs, caves, and coral reefs, there’s no shortage of things to do and see while there. Nassau has everything you could want in a big city, yet still maintains the energy and ease of a tropical paradise. With its rich culture and bustling nightlife, the capital of The Bahamas is a major attraction for tourists and locals alike. From luxurious hotels, to fine dining, to world-class beaches, there’s not much that Nassau doesn’t offer.